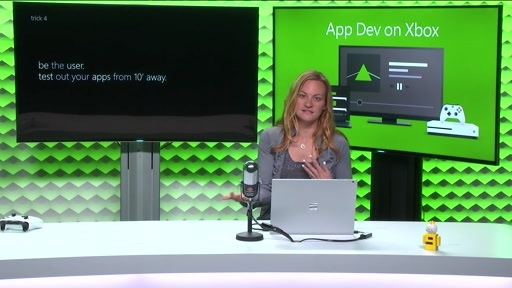 Come and learn how a quirky Microsoft designer (Lynnette Reed) and a somewhat eccentric Microsoft developer (Rob Cameron) collaborate to design and build a Universal Windows Platform (UWP) app. Lynnette will deconstruct premium design samples to reveal Microsoft design patterns and best practices. Lynnette will quickly design an app that leverages the UWP design templates and app modules that cover design considerations for UWP apps. Rob will take it from there and demonstrate responsive design techniques and coding best practices. Leave this session with a deeper knowledge of Microsoft’s design best practices and how to apply them responsively across the UWP. 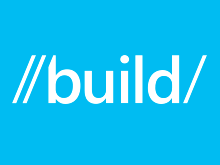 Lynette and Rob did a session at build a year ago ("Designing and Developing the Ultimate Windows App Experience"), which was similarly built around a 'Media App Sample' they indicated would soon be made available. The app looked similar to what Rob showed here. Per comments on the Channel 9 page for that session, as of August that sample was apparently not yet available. Having this level of sample apps would be so helpful. Was the media app highlighted a year ago ever actually made available? How soon can we reasonably expect the two samples used in this session be made available? Slide still does not upload? I am also looking for the Contoso Entertainment premium app sample. I was at 2 different Build sessions that referenced that this was already available on the Dev center but can't find it. Please let us know how to get this code. Hi Everyone, Thanks for the interest. Apologies for the glitch but we are working on getting the slides uploaded. Regarding the Media App sample from last year, we shared it with partners on a limited basis and got a lot of great feedback. With the launch of UWP on Xbox One, we took the opportunity to create a complete rewrite about 6 weeks ago. We are very excited about the progress and features. We are finished and will ship in the next couple of weeks at this repo on GitHub: https://github.com/microsoft/tvhelpers Will also post back here. Still wondering if the slides will be uploaded. Would love to leverage instead of re-create my own slide deck.